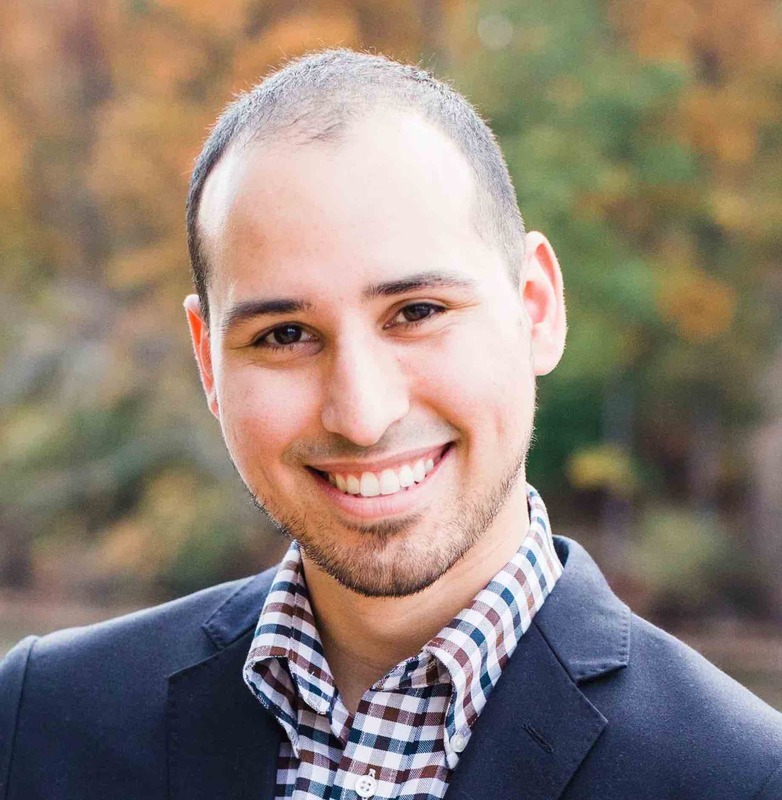 "Mixed Metaphors: Resolving the 'Eschatological Headache' of John 5"
Journal of Biblical Literature 137 (2018), 711-732. Exegetes have long puzzled over the purported clash of eschatologies in John 5:19–30—one framed by an apparent shift between figurative and literal speech in the passage. In this article I argue that the evidence for such a shift—most of it rooted in inconsistencies in the imagery and language of verses 24–25 and 28–29—is weak. Literary-oriented studies of the Fourth Gospel have called attention to the dynamism and fluidity of its imagery. Metaphorical vehicles, once introduced into a given discourse, are often further developed, modified, or altogether reimagined in successive lines—a technique known as “metaphor shifting.” I identify this technique as the best explanation for the discrepancies observed between verses 24–25 and 28–29. When the entire passage is read as a continuous stream of shifting and interpenetrating metaphors, it contains no sudden clash of eschatologies and no tensions for the interpreter to resolve. Rather, the passage reads as a coherent and more complete exposition of the gospel’s realized eschatology. "'He Spoke… Forever’: A Hebrew Idiom in Luke 1,55"
This article isolates three parallels to the expression, “he spoke… forever” (Luke 1,55) in translations of the Psalms of Solomon and Jubilees. These parallels suggest that Luke 1,55 calques a Hebrew idiom for oath-swearing, likely known to Luke from Greek translations in his sources. Read in light of these parallels, Luke 1,55 fulfills a crucial structural and rhetorical function in its climactic position in the Magnificat, reinforcing the unity of the hymn’s second strophe (vv. 50- 55), and giving shape to its theology of covenant and salvation. 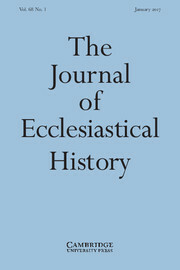 Journal of Ecclesiastical History 68 (2017): 22–39. Lectionary and homiletic sources indicate that the Church of Jerusalem commemorated Stephen twice within the same two-week period (26/27 December and 7 January). Few studies have explored the origins of these feasts, the relationship between their appointed readings and the phenomenon of parallel, or redundant, feasts in ﬁfth-century Jerusalem. This study will locate the development of these feasts within the struggle of the Church of Jerusalem to develop a local cult of martyrs after the Constantinian settlement. 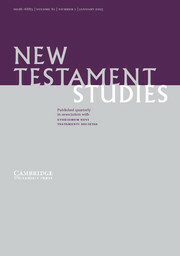 "Semitic Poetic Techniques in the Magnificat: Luke 1:46–47, 55"
Journal of Biblical Literature 135 (2016): 557–574. Two peculiar alternations of grammatical form appear in the Magnificat: a tense shift in verses 46b–47 and an alternation of object constructions in verse 55. Though most studies treat these phenomena as outlying examples of Greek usage, a better explanation is found in the marked language character of the canticle itself. 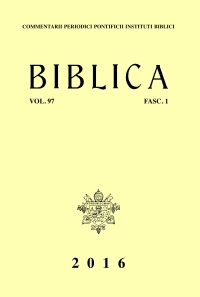 A previous study by Randall Buth (1984) has argued that the tense shift in verses 46b–47 reflects a common Semitic poetic device. I defend that analysis and extend it to verse 55, identifying the preposition/case shift there as a second stylistic grammatical alternation in the canticle, specifically: an instance of reversed ballast prepositions. The presence of these devices in the Magnificat demonstrates that its poet possessed an interior grasp of the conventions of Semitic poetry and could execute a hymn in that tradition with skill. Furthermore, with the goal of supplementing inventories of the Magnificat’s poetic features, I undertake a literary and linguistic analysis of both devices, giving particular attention to the negotiation of likeness and unlikeness in parallelisms, ambiguity as a vehicle of poetic expression, and the impact of these devices in a Greek presentation. "'Day' and 'Night' in John 9.4-5: A Reassessment"
New Testament Studies 61 (2015): 468–481. This article argues that John 9.4–5 should be reanalysed as an appeal parallel to 12.35–6, so that the ‘night … when no one can work’ of 9.4 corresponds to the ‘darkness’ of 12.35. Viewed in this manner, ‘night’ represents the condemned state of the unbelieving after the departure of Jesus. Jesus urges his disciples to ‘work the works’ of God so that, at the historical onset of ‘night’, the Paraclete may mediate acontinuing, covert experience of ‘day’ within them. That onset, then, marks a critical phase in the eschatological separation of the ‘children of light’ from ‘the world’. 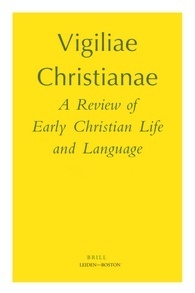 "The Origin of the Post-Nativity Commemorations"
Vigiliae Christianae 68 (2014): 290-309. On a number of fourth and fifth century calendars, a block of feasts commemorating Stephen, James, John, Peter, and Paul immediately follows 25 December. Contemporary studies have lost sight of the rationale for its position. This paper defends a proposal of Hans Lietzmann and suggests that the community that created the block recognized Christmas as the starting point of the sanctoral cycle. This community elected to place the memorials of Christianity’s earliest confessors at the head of this annual order, symbolizing their historical priority over other martyrs. Stephen occupied the first of these dates precisely so his commemoration could precede that of every other confessor on the calendar, a position that illustrates the intensity of his cult in the late fourth-fifth centuries. The study proceeds to develop this insight into a framework capable of explaining similar commemorations on other early Christian calendars.